Coin selection could work slightly incorrect in some edge cases which could lead to a creation of an InstantSend transaction which only the local wallet would consider to be a good candidate for a lock. Such txes was not locked by the network but they were creating a confusion on the user side giving an impression of a slightly higher InstantSend failure rate. 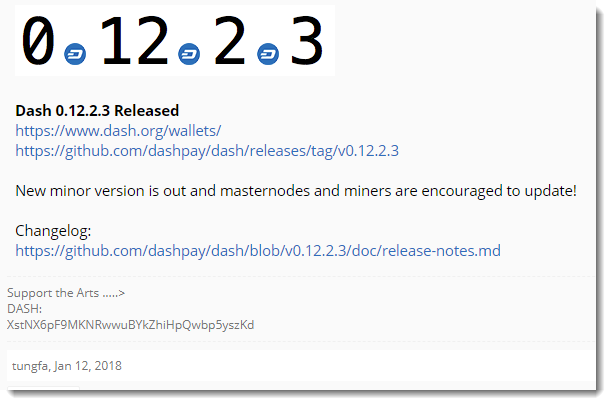 Another issue fixed in this release is that masternodes could vote for a tx that is not going to be accepted to the mempool sometimes. This could lead to a situation when user funds would be locked even though InstantSend transaction would not show up on the receiving side. Turned out that liquidityprovider mixing mode practically stopped working after recent improvements in the PrivateSend mixing algorithm due to a suboptimal looping which occurs only in this mode (due to a huge number of rounds). To fix the issue a small part of the mixing algorithm was reverted to a pre-0.12.2 one for this mode only. Regular users were not affected by the issue in any way and will continue to use the improved one just like before. This release also fixes a few crashes and compatibility issues. 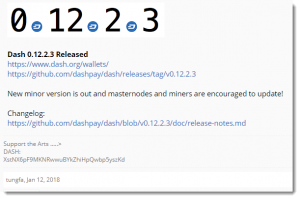 In addition to upgrading our P2Pool nodes to the latest version of DASH, we also completed some minor maintenance work to our OS and Hardware for each of our nodes. These changes help secure our nodes and ensure that we have all the latest software patches as well as ensuring we take advantage of the latest hardware upgrades. Please post any issues or questions regarding this latest release in our community forum.